” Eighty four per cent of adults and 96 per cent of juveniles detained in the Northern Territory are Indigenous, though they only make up 25 per cent of the population. ” Ministers agreed that the ear and hearing health of Aboriginal and Torres Strait Islander children is an important issue that impacts on their health, education, and employment outcomes. When Aboriginal prisoners appear before a magistrate waiting to be sentenced in Darwin, a guard is usually sitting in the dock right beside them. Troy Vanderpoll used to be one of those prison officers. The Aboriginal inmate is asked a few questions. He nods in agreement with the magistrate, repeating, “yes”, over and over again. The session finishes, the inmate stands, and the court moves on to the next case. Mr Vanderpoll is Indigenous himself, and used to work as the Aboriginal Liaison Officer in Northern Territory prisons. He spent a lot of time with Aboriginal inmates, and noticed that some of the men seemed withdrawn, and did their best to avoid interacting with guards, parole officers and judges — even when it was in their best interests. In 2010, Mr Vanderpoll spoke to a local psychologist, Damien Howard, who had a theory on why that was — a hidden epidemic of hearing loss. Damien had studied the impact of hearing loss on Indigenous people for more than two decades, but had never seen research published on hearing levels of adult prisoners in the Northern Territory. Before Mr Vanderpoll became a prison guard, he was a medic in the Australian Army, where he learned how to conduct hearing testing. In the defence forces, biannual checks are mandatory. In response to Mr Vanderpoll and Dr Howard’s interest, Robert Miller — then acting superintendent of Darwin Correctional Centre and Mr Vanderpoll’s stepfather — commissioned the pair to conduct hearing testing for Aboriginal inmates. Mr Vanderpoll tested the hearing of volunteers at correctional centres in Darwin and Alice Springs, and Dr Howard helped compile the results. 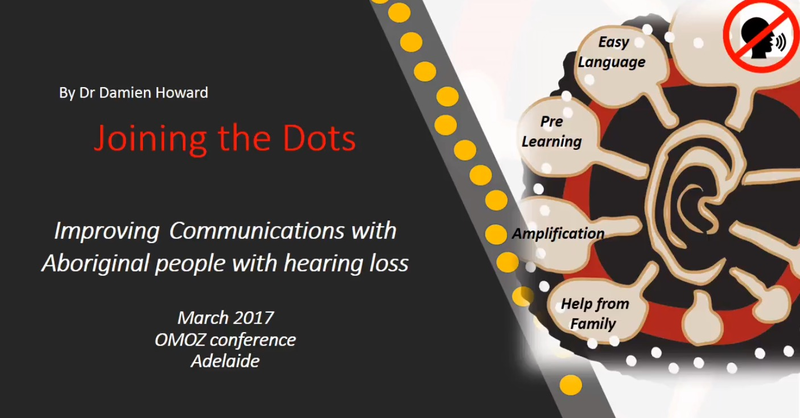 Presentation : Health practitioners improving communication with Indigenous patients and family members with hearing loss. Mr Miller had by then worked in Corrections for over 25 years. The result was a revelation. “I think it shocked all of us that the hearing loss was so great,” he says. “The doors open and the memory goes back: some prisoners seemed to be not talking to you, ignoring what you’re saying. You understand now that he’s got a hearing problem, no wonder he couldn’t hear what I was saying. Then there were the inmates who Mr Vanderpoll realised must have been deaf in one ear. “Sometimes you’re talking to someone and they completely ignore you because they’re facing the wrong way,” he says. Aboriginal men in NT prisons regularly use hand gestures — but Mr Vanderpoll and Dr Howard say that was no clear indication of hearing loss. Aboriginal spoken languages in the Northern Territory include signing, and many inmates speak English as a second or third language. “The boys are always signing. Always, whether they can hear or not, they’re still signing,” Mr Miller says. If Mr Vanderpoll and Dr Howard were shocked by the results, so too were the inmates. Most prisoners had no idea they had hearing problems before the study. “They’d grown up with it. That had been their whole life,” Mr Vanderpoll says. But whether they know they have it or not, hearing loss impacted their experiences in the justice system. Mr Vanderpoll began having conversations with prisoners who admitted avoiding interacting with the parole board because of their hearing loss, giving up a chance for a reduced sentence. “Anything that put them in a position where they had to talk to a stranger or be reviewed by a stranger was so shocking or so scary to them, that they’d rather stay in prison and complete their full time without any chance of parole,” he says. While most hearing impaired and deaf Aboriginal inmates Mr Vanderpoll worked with didn’t ask for an interpreter in legal situations, the service might not have been available for them anyway. There is only one professionally-qualified Auslan interpreter available for inmates across the entire Northern Territory, meaning that many deaf people miss out. 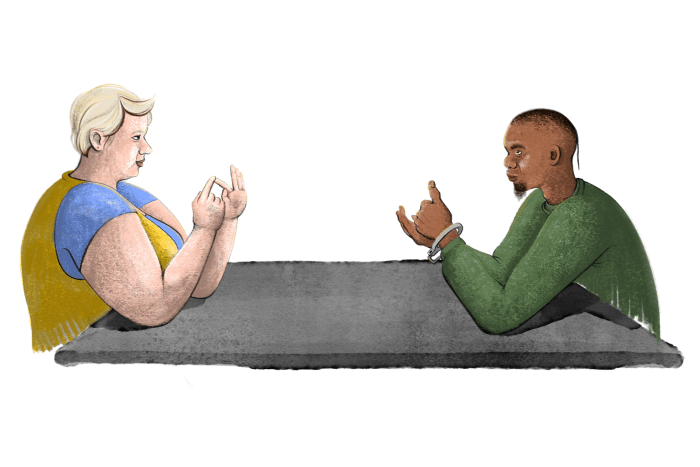 The interpreter, Liz Temple, readily admits that she does not have fluency in the local Aboriginal sign languages that most prisoners with hearing loss use. She often relies on Aboriginal consultants, such as Jody Barney, a deaf Indigenous woman who often works in the region and has knowledge of multiple Aboriginal sign languages. However, funding for such services is limited. Instead, corrections officers often play quasi-interpreters for inmates, says Mr Vanderpoll. Their findings led Robert Miller to wonder whether hearing loss plays a role not only in Aboriginal people’s experience of prison, but also contributes to them ending up there in the first place. “You can understand why Indigenous incarceration is so high. I’m not saying it’s the only reason, but I think it had quite an impact,” he says. Eighty four per cent of adults and 96 per cent of juveniles detained in the Northern Territory are Indigenous, though they only make up 25 per cent of the population. Once the report was released, Mr Vanderpoll and Dr Howard were hopeful things would begin to change. Mr Miller cobbled together funding for eight hearing aids, as he recalls — at a cost of less than $2,000. “It wasn’t huge, but when you’re spending government money it’s got to be justified,” he says. He had hoped that the small pilot program would eventually be funded by the government. “There was no money in the Darwin Correctional Centre budget for hearing assistance,” he says. Before the Darwin trial, in his eight years in NT prisons, Mr Vanderpoll says he saw only two people wearing hearing aids. 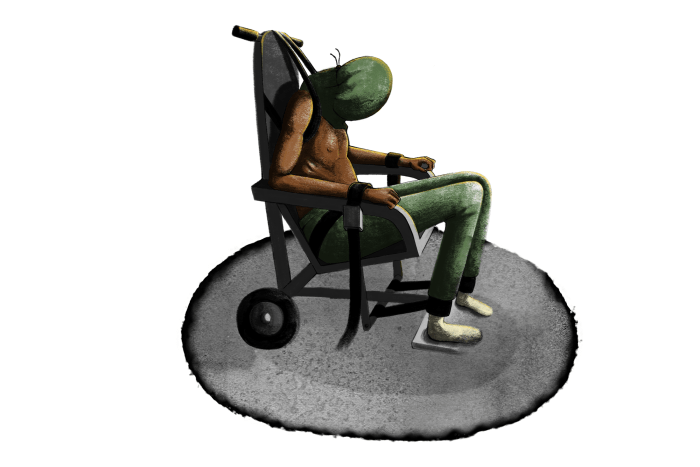 He recalls watching inmates putting on the new devices, realising what they had been missing. “They could understand what they were supposed to be hearing in the first place,” he says. Mr Vanderpoll hoped to implement a comprehensive training program for guards, who he says often had good relationships with inmates. Still, there were correctional officers who got it, and those who didn’t, the ones who are “coming in yelling and screaming”. The officers with the best rapport with the prisoners, Mr Vanderpoll observed, were those who made an effort to communicate. Their 2011 report made a number of recommendations that they believed could improve the way the justice system caters for hearing-impaired Aboriginal people — including routine testing of new inmates’ hearing, better access to hearing aids, and improved training for police, the judiciary and correctional staff. Mr Vanderpoll’s biggest hope was to see records of inmates’ hearing levels shared between police and the courts. “So that when [police] deal with someone, they bring that person up and say, ‘All right, he’s deaf in the left ear,’ and they can be aware of that when they’re dealing with them,” he says. Mr Vanderpoll left the NT Department of Correctional Services in 2013, and now works for the state’s Department of Trade, Business and Innovation, while Mr Miller has retired. To Dr Howard’s knowledge, none of the 2011 report’s recommendations have been implemented. The NT Department of Corrections never contacted him about the report. The Department of the Attorney General and Justice said that as part of an initial training program, correctional officers learned to deal with prisoners with impairments, including hearing loss. Mr Vanderpoll’s idea of record sharing went nowhere. “That’s the most disappointing part,” he says. In the aftermath of the abuse of Aboriginal teenagers by guards at Don Dale Youth Detention Centre in 2016, Dr Howard told the royal commission that hearing loss amongst Aboriginal adults and young people continues to be the “smoking gun” contributing to very high rates of detention — and communication problems with police and guards. 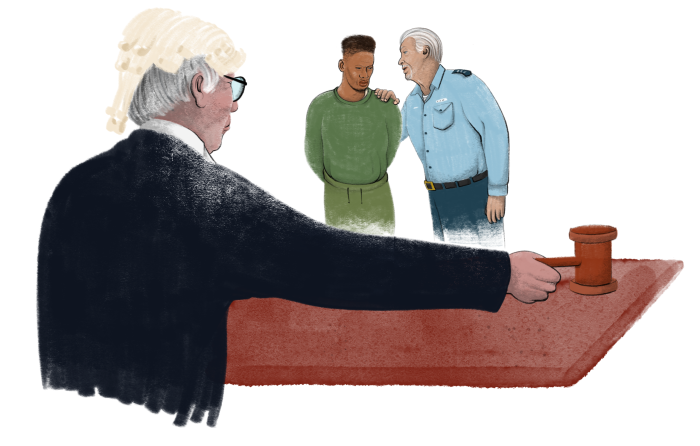 “With rare exceptions, governments and corrections agencies in all jurisdictions, as well as the criminal justice research organisations, have displayed a perplexing disinterest in this important issue,” Dr Howard says. 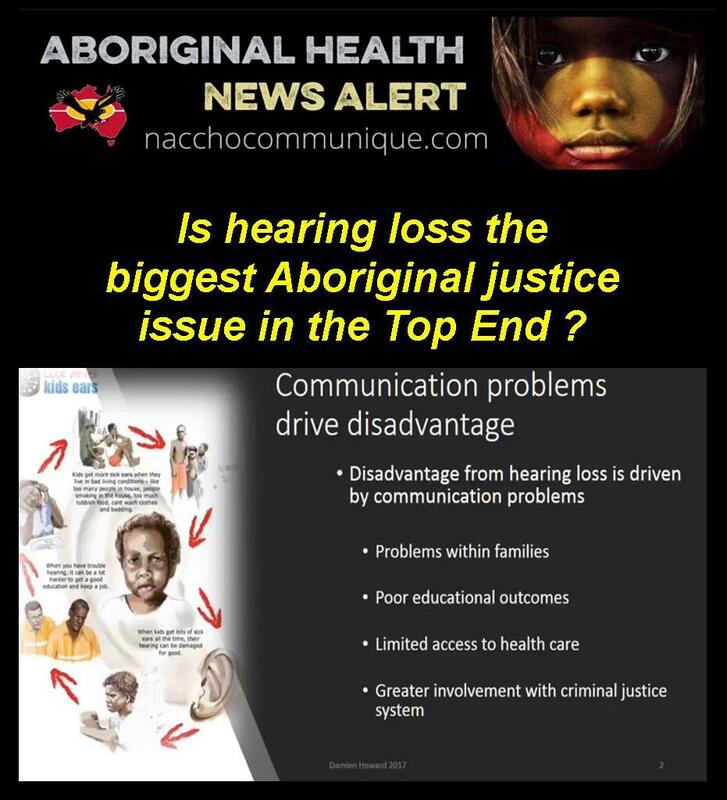 “A common response of government and Corrections is to classify Aboriginal hearing loss only as a “health problem”. When asked if audiological testing was now conducted for adult prisoners entering the correctional system, the NT Department of the Attorney General and Justice referred the ABC to the Department of Health. The Department of Health says adult prisoners are asked if they have hearing issues when they enter prison. Yet as Mr Vanderpoll and Dr Howard’s research found, many inmates are unaware of their hearing loss. The NT Department of Corrections provides prisoners with a hearing aid if they have a referral from a medical practitioner. Juvenile detainees in Darwin and Alice Springs are now given a hearing screening test undertaken by a nurse. The service began this year. Mr Miller says people in the Department of Corrections “try really hard” to deliver services under increasingly strained resources. “The government’s on you every year to be tight … people are not interested in prisoners at all,” Mr Vanderpoll says. “I think that a lot of the problems that we face today, like Don Dale, was because the money’s been stripped from Corrections, over and over again, and people don’t want to hear about it. “The prison is always run well because of communication. When it doesn’t run well, when there’s riots and stuff like that, it’s because of a lack of communication. “You can have all of the foundation skills-type training in the world. You can have mathematics, English, et cetera. You can send people to alcohol rehabilitation courses.